This is the wikispace for the SPRUCE Project (Sustainable PReservation Using Community Engagement), hosted by the Open Planets Foundation. SPRUCE is a JISC funded partnership between; University of Leeds , British Library , Digital Preservation Coalition , London School of Economics , and Open Planets Foundation . ﻿What is a SPRUCE Mashup and what's in it for me? SPRUCE is aiming to foster a vibrant and self-supporting community of digital preservation practitioners and developers via a mixture of online interaction and face to face events based on the successful AQuA Project mashups (see AQuA Wiki for more information). The events will provide support and technical expertise to address specific digital preservation challenges. The best work from event attendees will secure funding awards to further develop the activity and embed it within business as usual processes at the home institution. £60k is available for these awards and will be allocated during the 2 year life of the SPRUCE project. 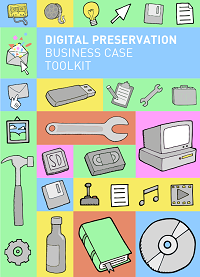 SPRUCE will build on the experience of these activities in order to develop a strong business case for digital preservation, with the aim of supporting and embedding good DP practice beyond the life of the project. Contact SPRUCE by email at: spruce (at) leeds (dot) ac (dot) uk. Follow us on Twitter @sprucedp and tweet with #sprucedp.